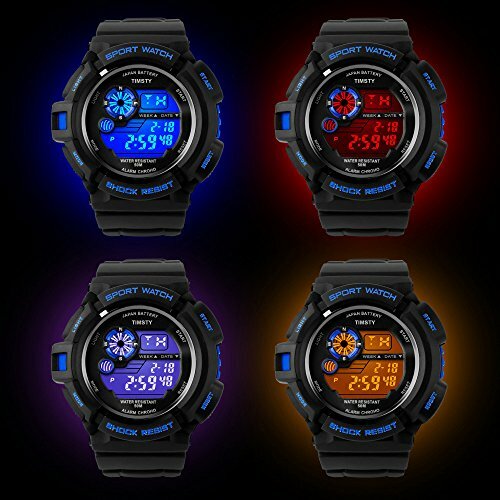 7 COLOR LED BACKLIGHT:The backlight changes from red, blue, yellow, green, purple, light purple, light blue etc. 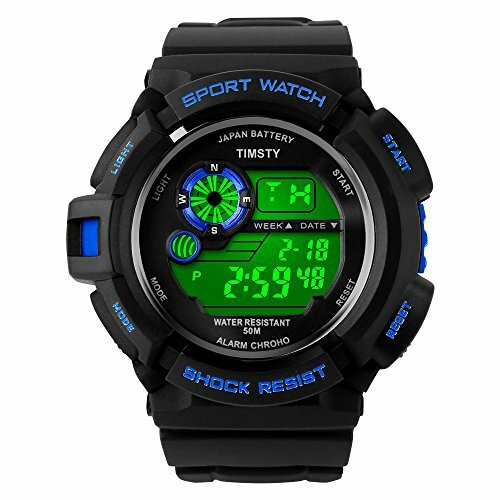 Even has a option to flash them all.This special watch will accompany the boys to have a happy childhood. 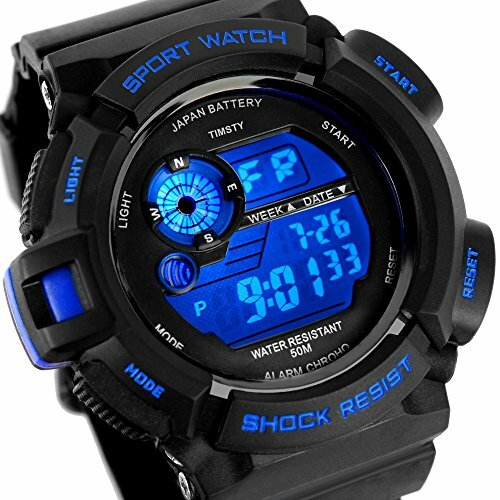 MULTI-FUNCTIONAL with Nice Features:It has Calendar Month / Day / Date, Alarm, Water Resistant, LED Display, Back Light, Shock Resistant, Stop Watch. 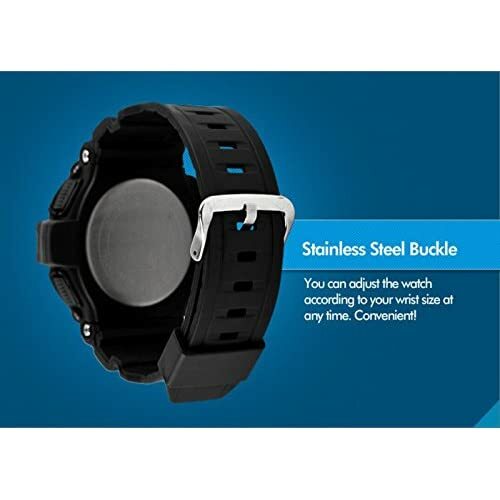 FASHIONABLE and COMFORTABLE:the watch band strap is very comfortable.And the appearance of the watch is very stylish.What a surprise gift for a kids sports watch and a must buy for the price. 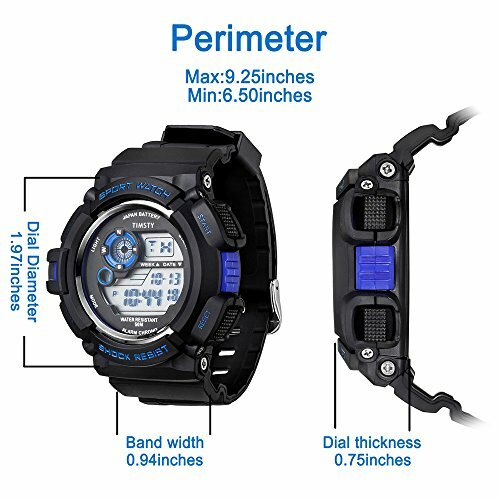 164FT WATERPROOF:There is no need to take off the watch while swimming or taking bath!NOTE: please DO NOT press any buttons in the water. In case of damaging waterproof ring,please keep it away from steam and hot water. 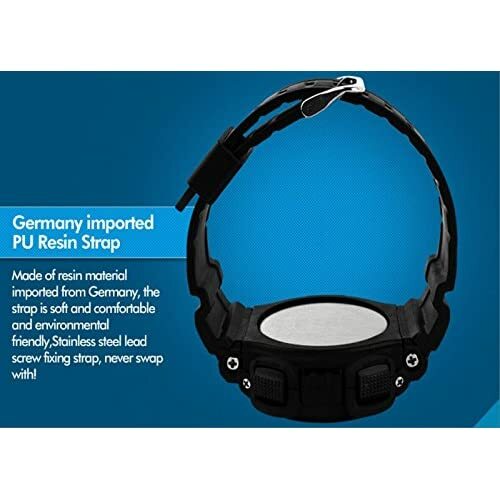 DURABLE and SUITABLE for ALL OCCASIONS: Perfect for both outdoor and indoor sports, such as running, climbing,fishing, swimming etc.What you waiting for? 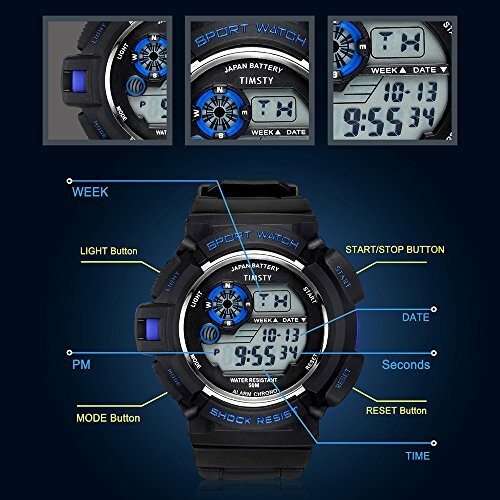 This a great value watch you don't want to miss.